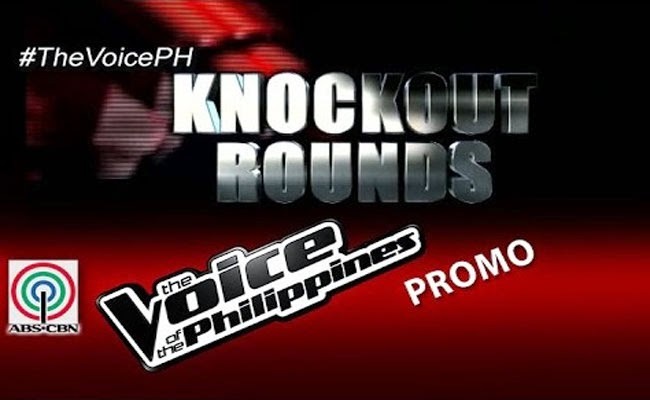 The Voice of the Philippines Season 2 Knock Out Rounds is well on its way to find out who will survive the prestigious singing competition on January 10, 2015. The artists will be the ones who will choose their owns songs as their biggest bet to show their talents. Each camps will be divided into groups consisting of three artists. The three artist will then contend with their chosen songs and fight for a slot in the next round, Live Shows. Out of three singers in a sub-group, an artist will be kicked out of the competition and only two will step up to the next round. The artists will not be informed on who they will sing off with face to face, giving them a drive to do their best. This Saturday, January 10, at 8:45pm, Team Apl’s artists will be going head to head with surprise mix of subgroups. Alisa Bonaobra will be performing her own rendition of ‘Follow Your Dreams’ while Mackie Cao will be singing the epic song ‘Salamat’. Single mothe policewoman, Jannet Cadayona will be singing ‘Pusong Bato’, Mark Cando will belt ‘Impossible Dream’ while Daryl Ong will be performing the iconic ‘The Greatest Love of All’. Rocker daddy Bradley Holmes will sing ‘Kamusta Mga Kaibigan’ and Boracay’s voice Ferns Tosco will sing ‘Let It Be’. Suy Galvez and Patricia Gomes who were stolen from Team Bamboo will be singing ‘At Last’ and ‘Oo’ respectively. The Voice of The Philippines Season 2 Knock Out Rounds will kick off and the artists who will be staying for the live show will then be decided for Team Apl. Who will you be rooting for?